Thank God it’s Friday. In other words, time for another article about everyone’s favorite transforming bug. I’ve dabbled in midrange, combo, aggro, and control, but only tempo consistently stimulates me to learn everything I can about Magic. As such, most of my Magic knowledge is tempo-based, and you can always expect me to write articles focused on tempo, both the archetype and the in-game mechanic of time and mana advantage. I’m standing by my boldest claim from last week. Underestimate Day’s Undoing at your own peril. Not life-threatening peril; at best, you’ll be unprepared for the coming meta, and at worst, you’ll be forced to shell out much more than $60 for a playset (current preorder prices are seriously low). “Broken” means nothing without context, so I’ll provide some datapoints. At its highest representation, Treasure Cruise Delver comprised 15%-20% of the Modern metagame. Jeskai Ascendency Combo also relied on Cruise, but Wizards blamed Delver for the ban. For the purpose of this article, we’ll deem “broken” any one card that pushes a deck or archetype into representation numbers as consistently high as Treasure Cruise Delver’s. One of these linear decks could rise above the others as the shell that best abuses Day’s Undoing. We saw this with Treasure Cruise – it seemed like the card was designed for Delver decks. Other strategies benefited from its inclusion, including Storm, Burn, and Willy Edel’s Siege Rhino deck, but nothing could cast Treasure Cruise and keep opponents from casting Cruise as effectively as UR Delver. By GP Omaha, Delver was practically the only deck playing Cruise, but the format felt the card’s presence strongly enough for Wizards to step in anyway. Undoing’s second possible fate is one already enjoyed by Collected Company. Steven Borakove won a StarCityGames 5K with Naya Company last weekend, Collected Elves won GP Charlotte, and Abzan Company decks have done well in Modern since the green Dig Through Time was printed. Undoing could follow suit, finding a home in multiple linear decks instead of skyrocketing the metagame shares of just one. Whether one or a few decks end up abusing Day’s Undoing in Modern, the card stands to impact the format less like Company and more like Cruise. Undoing gives linear strategies an unfair layer of resilience, scarily comparable to Cruise’s, that should push most midrange and control decks deep into the realm of fringe playable for three reasons. First, these slower decks exist because of splashy X-for-1s like Snapcaster Mage and Kolaghan’s Command. Day’s Undoing deletes any incremental advantage gained by players casting these spells by restocking both players to seven cards, however lopsided their hand size discrepancy. Second, as the format speeds up, the answers become more efficient. Undoing will certainly speed up Modern, and options like Electrolyze lose a lot of attractiveness in the face of Spell Pierce and Dispel. Third, and most importantly, none of Modern’s playable X-for-1s succeed in their ultimate goal of generating card advantage like Day’s Undoing. Three mana for seven cards is so much better than three mana for two cards that faster decks, directly affecting the board with their resources, will simply out-card decks leaning on Cryptic Command. Big disclaimer before we continue: if the paragraphs you just read, my article from last week, and your knowledge of Modern and Magic don’t combine in some way to sell you on Day’s Undoing, we’ll have to agree to disagree for now. From this point on, the article assumes you’re with me on card evaluation. Otherwise, let’s wait until Origins hits Modern and see who eats his hat (or his Jace). I’ve been wowed enough in testing that I won’t be swayed by any theoretical arguments until we see some real results indicating the card’s shortcomings. Play a deck that can reliably empty its hand by the time opponents reach three mana. Otherwise, the Undoing deck will drown you in card advantage. If you do play a deck like this, have a good reason not to play your own Day’s Undoings. As a general rule, Undoing decks should side the sorcery out against anyone faster than them and try to profit from their opponents casting it. Similarly, if your deck is slower than 50% of an anticipated meta, don’t play Undoings. Play a deck that can reliably counter Day’s Undoing by the time opponents reach three mana. Compare this plan with playing around Blood Moon. Interacting with Undoing on the stack is especially potent, since to take full advantage of the card, its caster first empties his hand. Post-counterspell, he’s left with nothing and you’re free to play spells at your leisure, but watch out for extra copies. I can see good players scrying extra Undoings to the top before casting one, since they only stay on top if Undoing fails to resolve. French-language card aficionados, rejoice: Delay has never seen Modern play, but it’s definitely the funniest answer to Day’s Undoing, since it gives you three turns to prepare for resolution and then literally Time Walks opponents. Attrition is a losing plan here. You don’t Thoughtseize the Treasure Cruise deck, either. If you do manage to nab an Undoing, you’ve postponed the inevitable; opponents will Serum Visions into another one and shuffle that Undoing right back into the deck to draw it again. And if you don’t, you’ve spent a turn helping Undoing players empty their hands instead of actually impacting the board. Last week I suggested an untested Counter-Cat port with Silence and Day’s Undoing. In testing I found it too suicidal, so I tried progressively more straightforward approaches. Not surprisingly, the most successful Undoing Delver list I came up with is also the most linear. During spoiler season, Legacy players often evaluate blue cards more leniently, claiming, “You can always pitch it to Force of Will if it’s dead in hand!” This decidedly lazy line of thought has always peeved me, but the best thing about Day’s Undoing in this deck is, ironically, its blueness. When Undoing is bad for you, it’s good for them; and when it’s good for them, Disrupting Shoal trades your bad Undoing for their good one. Let me flesh that out: Undoing will only rot in hand if its owner is ahead on cards, behind on the board, or both. Casting Day’s Undoing in these predicaments is tantamount to suicide. Naturally, opponents down on cards and ahead on the board will profit enormously from a resolved Day’s Undoing. If the Delver pilot’s opponent goes for such a backbreaking play, Shoal can indeed eat the “dead” Timetwister – and, in the process, counter the Undoing that would undo him (I really like this pun), setting him up to stabilize with his hand full of Forked Bolts (or whatever). As illustrated above, countering Day’s Undoing can often prove game-winning, since it leaves card-exhausted opponents wide open for bombs. I touched on Vapor Snag’s relevance in Undoing games last week, and Remand does something similar. I’ve advocated against non-Undoing card advantage engines since they’re just not efficient enough for the coming meta. Remand does replace itself, but in a deck as speedy as this one, it doesn’t provide anything like “card advantage;” the card it draws is spent almost immediately. Opponents rarely have moments to cast their spell again. Complimented by Day’s Undoing, Remand is essentially just a cantripping Counterspell. Lightning Bolt combines with Swiftspear to give the deck enough “reach” for instant kills after Undoing resolutions. Forked Bolt and Pillar of Flame are sideboard answers to other linear creature decks, especially Elves and Affinity, that can easily fit into the mainboard depending on the meta. Undoing or no, I would never play Magma Spray over Pillar of Flame; reach is worth so much more than even instant-speed in a tempo deck. Snapcaster Mage doesn’t make the cut in such a compact threat suite. Monastery Swiftspear is easily the best attacker in the deck since it comes out swinging every time, and often for 3+ damage. Young Pyromancer never sold me in the Treasure Cruise era. I wouldn’t have trouble tapping out for a Goyf since he at least resists Lightning Bolt, but I couldn’t bring myself to play a two-drop that 45% of the format could answer for one mana. But Disrupting Shoal brings Pyromancer over the top. Shoaling the Bolt sets us up to untap with him and promptly take the game. The board advantage he creates after sticking around for one turn is extremely difficult for even other dump-your-hand decks to overcome, especially as they battle with Remand and Vapor Snag, which generate even more tokens. Sometimes, Undoing “bricks,” drawing us 6 lands and a Remand. Faithless Looting shines in these situations, fixing bad draws while growing our threats. Magmatic Insight might be better here (more on this card below), but I like that Looting can dig for lands in a pinch, throw away extra copies of Undoing, and grow Swiftspear/make an Elemental token from the Graveyard. 18 lands is plenty for this curve, but we want a healthy amount. Lands are cards we can play for free, and making our drops up to the third or fourth turn maximizes Day’s Undoing. We also want to commit to the board as quickly as possible, which means spending early mana on threats, and not on cantrips. Undoing gets much better when we’ve established a positive board presence, and having a team of beaters also prevents opponents from casting their own Undoing. I’m counting on Looting to dump lands after Undoing resolves. It flashbacks easily in these cases, since we’ve made over 4 land drops by then. Mutagenic Growth: I could see this card mainboard if the faster metagame begins to rely on Forked Bolt to deal with efficient creatures. Sweet as reach against linear decks that don’t cast blockers. Spell Snare and Dispel: Tempo-positive hard answers to problem spells like Pyroclasm and Electrickery. No Spell Pierce here; decks tend to make their land drops when they draw seven cards all game. Shatterstorm: Better than Vandalblast since it can remove a Chalice, though I’ll admit it doesn’t answer that permanent very elegantly. There’s always Shoal and Snare. But Shatterstorm does seem like the best Affinity hoser, forcing that deck to recreate most of its board instead of developing it further with every Undoing. Day’s Undoing takes the cake as the best card in Origins, but the set offers plenty more to Modern players. Many of these cards won’t see play in an Undoing meta, but assuming an incoming ban, I bet each could find a place in the format. Nothing wrong with a little optimism. Magmatic Insight: The second-best card in Origins. I’m a big Faithless Looting proponent. Without Ponder and Preordain, the best way to achieve consistency in Modern is through redundancy. But nobody wants to draw three Blood Moons. Or a bunch of extra lands. Unlike blue cantrips, Insight specifically caters to decks with higher land counts. This card may make a splash even in Legacy and should become a defining fixing tool in Modern. Thopter Spy Network: A hard-to-remove late-game engine à la Outpost Siege or Keranos, God of Storms. Putting Bitterblossom and Coastal Piracy on one card probably justifies the steep cost, at least as a sideboard plan for blue midrange decks. Especially interesting in grindy decks without red. Hangerback Walker: Underwhelming at first glance, but the Walker “stores” Arcbound Ravager counters and even spreads them across the board as bodies for Signal Pest and artifacts for Cranial Plating. A fine topdeck for Affinity decks with four lands in play, especially against attrition decks which can’t profitably remove it. Hallowed Moonlight: Since everyone hates Surgical Extraction so much, Moonlight might see play as an answer to Goryo’s Vengeance. It also denies Collected Company, Through the Breach, Rally the Ancestors, and persist creatures. A body might be better, but cantripping never hurts. Harbinger of Tides: Merfolk staple that punishes anyone trying to race, i.e. everyone, since the Folk have islandwalk. Playable even without the Flash clause. Goblin Piledriver: Modern Goblins lacks the mana-denial package of Wasteland and Rishadan Port, but Origins at least releases the Legacy deck’s toughest beater into the card pool. More on Goblins below. Shaman of the Pack: A very aggressively costed body that lets Collected Elves win instantly. Shaman even comes into play off Collected Company, and is worlds easier to Chord for than Craterhoof Behemoth. Bounding Krasis: Compliments Pestermite and Tarmogoyf in RUG Twin decks that would rather apply pressure than Bolt-proof the combo. Send to Sleep: An efficient card for low-to-the-ground tempo decks without hard removal. Probably sideboard material for UR/RUG Delver decks against aggro fields. Nissa, Vastwood Seeker / Nissa, Sage Animist: Nissa offers Scapeshift the same “Does he have it?” sideboard-guessing-game plan that’s served so many Modern strategies. Batterskull, Baneslayer Angel, and Blood Moon have all posed these questions before in control and midrange decks. Nobody wants to keep their Bolts in against Scapeshift… but they do now. Languish: Sheridan wrote about this card earlier in the week. Strong sideboard option for Abzan Midrange. Pyromancer’s Goggles: What exactly does this copy? Even in Skred Red, Modern’s only Big Red deck? A Lightning Bolt? On the off chance that Goggles casts something cool, like a Magmatic Insight, I’d still rather it just be another high-impact threat (e.g. Koth of the Hammer) than a usually-does-nothing mana rock. Molten Vortex: This is no one-mana Seismic Assault for the same reason that Barrage of Expendibles is no one-mana Goblin Bombardment. Sylvan Messenger: A worse Collected Company that can’t come into play off Collected Company. Tainted Remedy: Between Skullcrack and Atarka’s Command, Burn already has plenty of versatile answers to lifegain. Artificer’s Inginuity: “Pure control” players have always clamored for an Instant-speed Divination (Esper Charm in non-Esper colors). Here it is, but with a bit of a hoop. In decks that can meet the requirement, Thirst for Knowledge is just better. I brew about 40 decks a month, and one that looks interesting is a UR Goblins deck running on Aether Vial and Day’s Undoing. The Day’s Undoing strategies I think will do best in the coming meta have some way to immediately win the game after drawing seven cards, and burning opponents out is as reasonable a proposition as it is traditional. Giving haste to your sizeable team work too, and UR Goblins does both. This shell also gives us a way to dump our hands quickly via Vial and an optimized creature curve (eight one-drops, eight two-drops, eight three-drops), synergistic lords like Goblin Piledriver, Bushwhacker, and Chieftain, a threat that wins games on his own, a creature that sets the bar for aggressive one-drops, and two sets of high-power burn spells, including the devastating Goblin Grenade. Goblins has historically run out of steam in Modern before it kills its opponent, and Day’s Undoing might be the shot in the arm the archetype needs to reach competitive status. Blue also shores up the strategy’s weaknesses with sideboard countermagic to hose its natural predators: combo decks that ignore an onslaught of little red monsters and fire off a kill just a turn shy of losing themselves. Wizards has done a fantastic job breathing life into Modern with its past few expansions. Here’s to hoping our format retains some semblance of diversity under the glare of Day’s Undoing. Excellent article. I find myself agreeing more with Day’s Undoing having a Collected Company-esque impact on the meta, which is something I’d be completely fine with. I also greatly enjoy your UR Day’s Undoing Delver, and I think that anything that makes Disrupting Shoal shine brighter is something I’d rally behind. Got any opinions on how to squeeze Shoal and Undoing into Merfolk without crashing my creature count? You don’t have the space to run Undoing, Vial, Shoal, AND Spreading Seas in that deck. With 20 lands, that only leaves room for 24 creatures, which isn’t much considering you have no way to interact with resolved creatures. I don’t think you want to give up the disruption of Vapor Snag and play an all-in linear creature strategy with this deck, since then you’d be playing a worse Burn or Affinity. Seas might not be that good in the coming meta, either, since it turns lands into Islands, which cast Day’s Undoing, and then Undoing players draw into extra lands that aren’t dead since they make mana. The cycling on Seas is also worthless if opponents manage to Undoing before you spend that extra card. If Merfolk decks survive, I see them trying to actualize a gameplan of dumping their hands before Undoing players do and leaning on Chalice of the Void to shut down other linear strategies. If you want to play a tribal creature strategy with Undoing, try out my Goblins list; unlike Merfolk, this deck can kill the turn after an Undoing with the new cards in its hand (Bushwhacker, Grenade, etc.). Merfolk has to wait a whole turn before it attacks. A quick aside about UR Goblins: I’ve seen people mess around already with Piledriver in a green-splash list for Collected Company. Undoing is way better than Company in this deck since it’s faster and draws you reach. Tin Street Hooligan is an old favorite of mine, but today is not his day. That’s what I was afraid of – it’s a shame that I’ll probably have to build another deck to cash in on that interaction. That said, I’ll probably experiment with Day’s Undoing on its own as a 2-of. Merfolk empties its hand fairly reliably by T3-4, and you don’t always have to spend mana to do it (yay Vial!). Incidentally, that’s also why I’m not too worried about facing a deck featuring Day’s Undoing – it just pushes me more toward maindeck counterspells like Spell Pierce to shut off their gravy train before it leaves the station. I don’t think Merfolk should play Day’s Undoing, but I don’t think it’s much of a dog in a Day’s Undoing heavy meta: if it has a decent board state, it’s very likely to draw into 1-2 Lords that will buff its creatures and allow it to swing for lethal. It could also draw into Master of Waves and 1-2 pieces of permission that allows it to keep threats at bay just long enough to swing for lethal next turn. Alternatively, if it has a lot of cards in hand and not much of a board state, it could just counter Day’s Undoing. Also, a blue heavy meta is always nice for merfolk! First of all,the difference between R/1R and R/RRR is huge, just like between 1 and 3 mana. You can easily deploy Vortex under the counterspell in turn 1, when assault can come down against eg Twin way too late. Secondly, when loam starts dredging, you often have some extra mana, and dealing 4 instead of 6 per turn isn’t that much of a drawback imo. I don’t think that Vortex will break the modern, but it’s enough different and imho not strictly worse that it can become a solid roleplayer that can push fringe archetype into tier 2. Yes, Molten vortex it’s a better Flame Jab instead of a bad Assault. Would it be wrong to cut down on fetches in this delver build so we don’t reahuffle them into the library? Probably not. Depends how dependable we can make the manabase. The issues to consider IMO are lifeloss and Blood Moon not hurting us, but depending how the meta turns out, Moon might not prove so important. Putting my faith in you Jordan! Article is convincing to me, I buylisted a liliana of the veil this morning to pay for a playset of days undoings. I agree with everything but the molten vortex analysis. I’ve played assault loam a lot in modern and i think it is good. The comparison with barrage of expandables is not fair because with barrage you need mana to cast creatures. With vortex all you need is 2 mana each turn for loam and you get your 3 lands. Getting to 5 lands is easy with loam so once you get to triple red + green + another lands there is no big difference with assault, since at that point loaming and triple shocking is the most powerful thing you can do anyways. Dodging targeted discard on the play can make a difference too. The other benefit is you can cast it turn one two and kill something right away before turn 3, which is sometimes a bit late. I’m still unsure wheter to go all 4 vortex or to go with a split but i think this and magmatic insight might increase loam strategie’s viability in modern, not over the top but more than right now for sure. If you have triple red to activate Vortex three times, wouldn’t you rather just invest it once into Seismic Assault and then spend your mana casting Loam/Crime/Insight/anything? I don’t like it, but we’ll see. Jordan, If that were be the case, then Flame Jab would never see Assault/Loam play. Which preorder prices are you looking at when you say that Day’s Undoing is still cheap? All the websites I’ve seen have a single copy costing ~$20, or $80 for a playset. What does the gameplay with Day’s Undoing look like? Do we try to get one or two creatures on the board and disrupt our opponent with Shoal and Remand until we can play Day’s Undoing? I think we can easily handle threads of our opponent with Vapor Snag and/or Bolt the first turns, then play Day’s Undoing with a better board state; refilling our hand and try to tempo him out. I’m not as experienced as you are, but could Quicken be a possible card, so we can use our fresh new 7 cards first? Looking forward to your thoughts and reply. If we have Undoing in hand, we want to tear through our other cards as quickly as possible, with an emphasis on keeping the board state in our favor. Then we cast Undoing and generate enough card advantage to beat opponents. The deck plays similarly to the UR Treasure Cruise Delver lists from last January. Quicken seems very bad to me because you have to spend the card it cantrips into to take full advantage of it, so it requires 5+ mana to be effective (not to mention if you draw into a creature or a land, the card is always wasted). The deck also doesn’t need to cast Undoing at Instant speed to squeeze a ton of gas out of it, so I see no reason to dilute the deck with a bad cantrip. This was a pretty miserable read. You begin by stating Day’s Undoing is broken and will effect the format as much as Treasure Cruise did, state how strong it is for fast and linear strategies, then go on to suggest the best deck to abuse it is one that is not particularly fast nor linear. There is no logical continuity there, and it only gets worse upon further reading. One of the many issues with Day’s Undoing in Modern is one you mention: it’s not good against decks that are faster than your own. Against any of the truly linear decks casting it is going to benefit your opponent much more than yourself in that it will give them the tools to simply end the game. That’s acceptable if those decks aren’t a large part of the meta but they are; Burn and Affinity are the #2 and #3 most played decks respectively according to this very site. Disregarding that, you further go on to say your UR Day’s Undoing brew doesn’t even have great game against the other top decks Twin (#4) and Jund (#1). If the card is poor against the linear decks and poor against the two most popular interactive decks then what exactly is it good against? Aside from briefly mentioning the peril of playing the card against faster decks than your own, this article doesn’t even touch on the shortcomings of Day’s Undoing. You begin by drawing parallels to Treasure Cruise but completely fail to acknowledge the massive discrepancy in mana cost between a one mana sorcery and a three mana sorcery. As if the cost alone wasn’t bad enough though, the end your turn clause makes the card match up even more poorly with the rest of the deck than it already did. Part of what made Delver with Treasure Cruise so powerful was the ability to chain cantrips and Cruises to draw through your library, powering out tokens and pumping up Swiftspears in the process. Even if Day’s Undoing did cost one mana it’d likely still be a worse card simply because it breaks the chain; as soon as you cast it the turn is over. At best that means lost damage from Swiftspears because you’re forced to cast it after combat and giving your opponent a fresh seven cards to deal with what you have on the board, and at worst it means not only hoping to draw a Disrupting Shoal, but also hoping it’s enough to survive your opponent’s turn. That is a huge gamble in a format defined by decks with the ability to say oops, I win. It’s also a bit hard to take your comparison between Disrupting Shoal and Force of Will seriously when there isn’t a single card in your 75 you could pitch to counter a Splinter Twin. You mention the deck tested poorly against Twin and Jund (one of the attrition-based strategies which you earlier stated were “a losing plan”) so I suspect you already know all of this. It is no mystery why you wouldn’t mention it in your article, but I don’t understand how you can claim a card will effect the format as much as Treasure Cruise did and in the same article acknowledge the card either doesn’t help enough or worse, helps your opponent more, in over 70% of the ten most common matchups. Actually I can understand it, but I had hoped this site was above that sort of sensationalism. It seems like you misunderstood my language. “I also tried Jund and Twin against [UR Undoing Delver] and fell short” means that I couldn’t beat Delver with Jund and Twin. This sentence came right after one in which I described playing against UR Delver with my Monkey Grow deck (no Undoings there), so I thought it was clear that I meant I was testing Jund and Twin against the Undoing deck as well. I explained in the article why Delver is so well-equipped to take on the other Undoing decks (more linear ones). Our counterspells efficiently (read: for 0 mana) answer the Sorcery when our opponents cast it, and we can cast it ourselves when it benefits us most. Shoal also gives us free answers to potentially game-winning plays our opponents might be able to make after we resolve Undoing. The threat suite, combined with tempo generators like Remand and Vapor Snag, help us make sure we’re so far ahead in cards that opponents have a hard time stabilizing the board. More on this in my article, above. I understand what you’re saying, I just don’t buy it. My testing hasn’t had this deck matching up well against either Twin (Grixis) or Jund which is why I misunderstood you. Against both the issue was largely the same: they have enough removal to slow you down early and a even strong start into Day’s Undoing helped them find the cards they need much more often than it helped me close out games. Delver did well in game ones, but after both decks sideboarded into sweepers like Anger of the Gods things got much harder. Casting Day’s Undoing is a gamble at best, and often just a move made out of desperation. Disrupting Shoal is NOT good here: the only card you can pitch to counter an Anger is Day’s Undoing itself, nevermind Jund’s Abrupt Decays. This is an issue the card has in a number of matchups. It gives you answers to potentially game winning plays, sure, but only if those plays cost one or two mana. Shoal also puts you way behind. When you’re casting it right before a Day’s Undoing it’s not a big deal, but when you’re using it after resolution the cost is very relevant. You’re often stuck using two cards to deal with a single Lightning Bolt against an opponent with six more cards in hand and at least three mana up. Considering the sheer quantity of removal in both Jund and Twin the odds of your threats sticking around against their fresh hand are pretty poor. Also consider you’re giving Twin more counter magic of their own, and refilling Jund’s hand with discard as well. You often end up putting them in a situation where they can stabilize with more cards in hand than you, not to mention the massive gap in card quality between either of those decks and Delver. Anyway, I understand I’m not going to change your opinion of the card so all we can do is wait and see how the meta unfolds in coming weeks. I think Day’s Undoing may have a place in Modern but I doubt it will be in UR Delver. Are you under the impression Faithless Looting doesn’t get shuffled from the gy with a days undoing? You said Undoing into 6 lands and a remand…Looting shines here? I was a little confused by this. Also, I’ve been playing BUG Delver, basically Fronsee’s list was the base (aware his was based of your Monkey Grow), but roughly I’ve replaced a Gitaxian Probe and a Gurmag Angler with two Liliana of the Veil. She has been very good. The decks weakness is beatdown Aggro. Side is heavily geared to fight aggro. 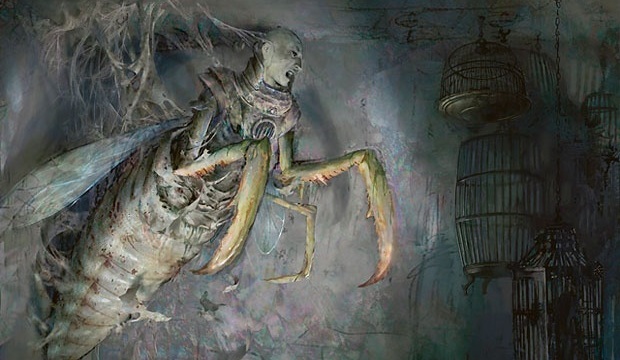 1) Do you think that a BUG Delver deck should be on board with Day’s Undoing or fight it with countermagic while trying to play it’s own game? Sadly this might mean pulling Lily. 2) Are goyfs and delving going to be a liability you think against Days Undoing? Assuming your Monkey Grow shares a lot of similarities. On Looting: I mean if you draw Looting in that sort of “opener,” it becomes much better. So far BUG Delver is winning about 95% (aggregate) versus combo/control/midrange but is only 34% or so versus aggro with most wins coming versus sum of its parts linear style decks or burn. Certainly having a delve creature bounced on you is painful, and thus is part of my own sideboard tech…but I can see where all delve strategies could suffer from that card becoming heavily played. No offense to Temur Delver which your previous article definitely sold me on, but I just love playing BUG and while I will definitely test Temur at some point as well for now I’m happy to play a really sweet deck with some of my favorites in Lily, Tasigur, Abrupt Decay etc. Playing your favorite cards is one of the best reasons to gravitate to a deck. Adam Fronsee, who piloted the BUG deck to 12th place at SCG Ohio, even said in his deck tech that he dropped red for black not because it was “better,” but because “I’m in love with Tasigur.” RUG has a much better game against aggro decks thanks to Bolt and Huntmaster, but BUG gets the edge against midrange since it’s less soft to Abrupt Decay, runs some of its own to kill Scooze and Goyf, and plays Angler and Tasigur, which are trumps in those matchups. So while I think RUG is better overall, I can think of some metas better suited to BUG.